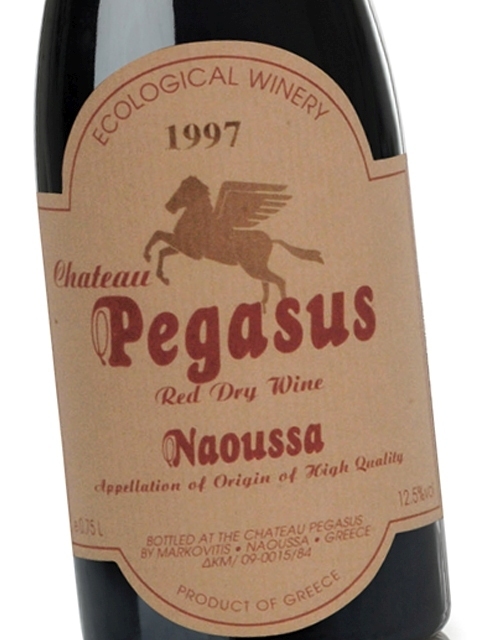 A fascinating 15-year old wine that proves the endless potential of the PDO Naoussa zone and the Xinomavro variety. This great wine was made in 1997 and in 15 years it has developed an amazing complexity, combining tomato, olive paté, mushroom and herbal aromas. Decanting is recommended, so that it can interact with oxygen and offer the full extent of its features. It can be ideally combined with wild rice, mushrooms, as well as low-fat meat dishes (e.g. game) cooked with red sauces. 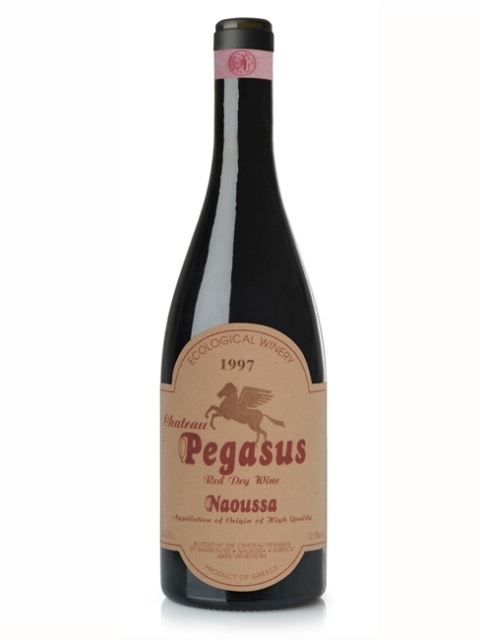 The presence of this collector’s wine by Chateau Pegasus on a wine list is enough to add to the prestige of any restaurant or cellar, as it is a great, rare and exceptionally high quality choice. Clean, medium (+) intensity, with aroma characteristics reminiscent of tomato paste, dry nuts, tobacco, tea leaves, cardamom, cedar, olive paste, animal notes, coffee and raisins. Dry, medium (+) acidity, medium (+) tannins, medium alcohol, medium (+) body. Medium (+) flavor intensity with flavor characteristics reminiscent of sundried tomatoes, olives, cedar, dry nuts, figs, leather and tobacco. Long finish.